Technology can be awesome, when it’s put to good use. A map on your phone? A satellite that can help farmers monitor their crops? Great! But not everything is so useful. Many companies emerged in 2014 offering new ways to help people connect, get stuff done, or find that special someone. Slack, for example, offers a chatty alternative to work email. Or Yonomi might actually make an Internet connected home feasible. But other new startups, looking for that new and original thing, peddled products that were gimmicky, legally unsound, or just not super useful. It might be easy to single out Yo, a messaging app that at launch only let people message “yo” to each other. How useful is that? But it’s sort of fun. And the app’s simplicity is intriguing: Its developers now seem interested in its potential for tongue-in-cheek marketing. Just because something you said on a TV show became popular online doesn’t mean we need an app built around it. It would be one thing if it were a clever word or phrase, but it’s not. It’s also sad that developers would capitalize on the popularity of mobile messaging like this. And it’s pathetic that an app based entirely on its own profane name backs down from even spelling out that name. If you’re going to be crude and offensive, at least go all out, yo. Meanwhile, in online dating, companies will try anything to stand out and match members in new ways. One startup, SingldOut, has turned to genetic profiling. Having trouble finding love? Maybe you just haven’t found the person with the right serotonin transporter gene! SingldOut mails its customers a DNA kit in a prepaid envelope so the user can collect a saliva sample and send it in. The company does not perform a complete genetic profile; it targets just two sets of genes: the serotonin transporter gene and human leukocyte antigens (HLAs). The first set helps to show two people’s emotional compatibility, while the second set serves as a marker for overall genetic differences, the company says. “Recent studies have suggested that the more genetically diverse two people are, the more attracted they are to each other’s pheromones,” SingldOut says on its website. The profiling results show users how “biologically compatible” they are, the company says, within the context of the targeted genes. “We’re not guaranteeing marriage, but we’re helping guide people find someone they will share chemistry with,” said Elle France, a cofounder of the service. People waste too much time going on bad dates with people they’re not compatible with, she said. OK, so dating is hard. Some people surely crave better screening information before they go on a date. But is “serotonin compatibility” really a useful factor? There are good reasons to look at genes for compatibility purposes, Lewis said, but compatibility is not a one-way street. For example, because HLAs are also involved in the immune system, people with different HLA variants may be less likely to pass infections back and forth, she wrote in a blog post. “But, couples with similar variants would be better off if one of them needs a blood transfusion, bone marrow transplant, or part of a liver,” she wrote. So which is better really: similar or different? Her advice for deciding whom to date: Talk to people. 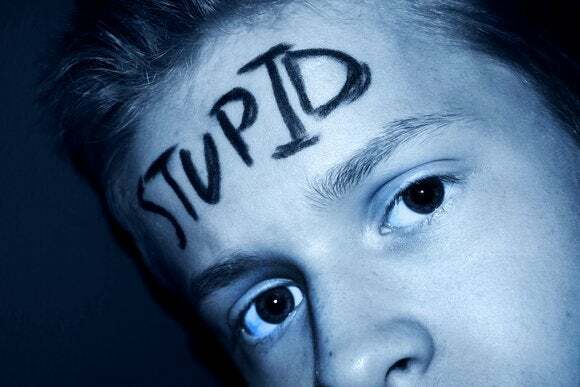 You know what’s also dumb, according to the city of San Francisco? Trying to auction off public parking spots. That’s what MonkeyParking tried to do this year in San Francisco, by letting users auction off where they were parked so other users could bid on the spots as they’re vacated. It was forced to shut down after the city attorney said the app violated local laws prohibiting people and companies from buying, selling or leasing public on-street parking. Making street parking easier in busy cities is a good idea. 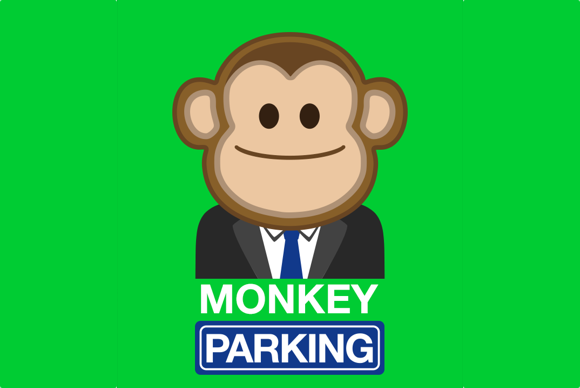 But MonkeyParking took an approach that, besides being illegal, made the city’s already yawning gap between the rich and the poor seem even wider. Its developers were planning to make another go of it in Los Angeles, but those plans seem doomed after a similar response by that city. The company did not respond to comment. Another startup that launched before 2014 got a big vote of confidence this year that may seem baffling. 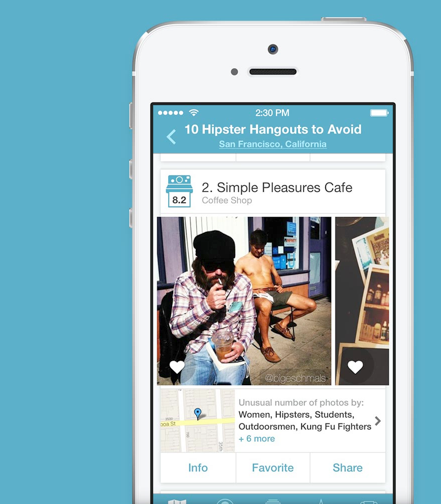 Jetpac, a San Francisco-based image processing company, had a number of apps, but its most absurd was Jetpac City Guides, which recommended places to go by analyzing public Instagram photos. Yet Google bought the company for an undisclosed sum, hopefully to broaden the applications of its technology. Jetpac said it could detect photo elements like the color of the sky, women’s lipstick, or mustaches, and make place recommendations based on those elements. A town’s happiest places, according to Jetpac, might be the places with lots of smiles in photos. That philosophy seems ripe for catching false positives, like this one. A spokesman for Jetpac at Google declined to explain how Jetpac distinguished hipster from non-hipster mustaches. The spokesman also declined to clarify whether all mustaches are hipster mustaches. Or to comment on Google’s plans for Jetpac going forward. Image recognition is an area of growing interest to big technology companies like Facebook, Twitter and Yahoo as they try to alchemize photos into features or products. Google may well find a way to make Jetpac’s technology more meaningful. Finally, there’s Wakie, whose app lets a stranger call you on the phone to wake you up. It’s supposed to be less jarring—and more social—than an alarm clock. But depending on who’s calling, it could be more jarring than your alarm clock, and not very social either. To be woken up, you give the app your phone number and set a time. Other users can make calls, and if one of them is available then, you’ll hear from them. If not, you’ll just get a call with a pre-recorded message. I tried it out on a Sunday morning, resulting in an awkward conversation with a guy who said he lived in Italy. I asked him how many times he had used the app to wake up random people. Three times, he said. Why? “I don’t know... It’s funny,” he said. I didn’t think it was that funny. But I was awake.